Of all the photos I took over my recent 3 day trip to Venice, this is my favourite, and the one I chose to print. It’s also the first large (A3+ for now, but I’m going to make an A2 for framing) print I’ve made from a Sigma DP2M file, and the detail is just shockingly good. It’s difficult to settle for less now! 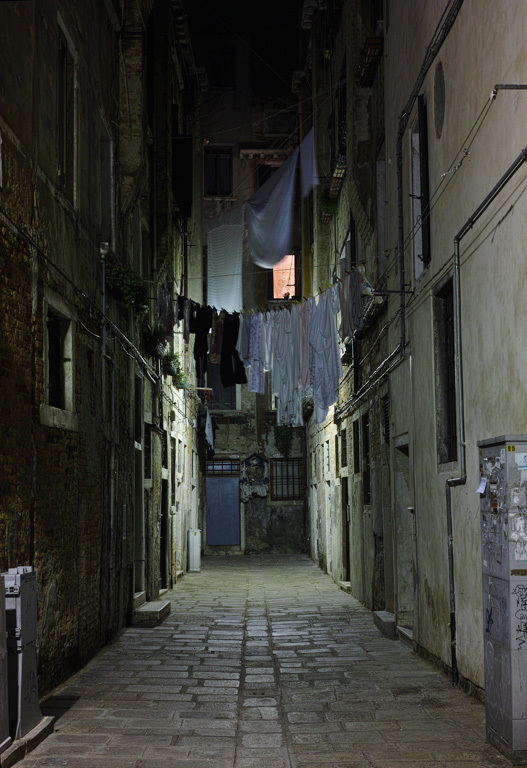 Ok, so it’s not the classic Venice shot by any stretch, but it’s the sort of atmosphere I was looking for. More Michael Dibdin than Agatha Christie. I was also pleased to find that you can make long exposure photos with the Sigma with no particular problem. The auto white balance is pretty weird, but that is fairly easily fixed.